Nominations for Academy Award for Best Short Film (Animated), best short films of the year. Empire Award for Best Short Film. 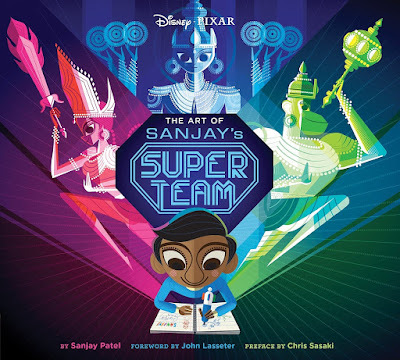 Sanjay's Super Team is a computer-animated short film produced by Pixar Animation Studios. Written and directed by Sanjay Patel, and based on his childhood, it premiered on June 15, 2015, at the Annecy International Animated Film Festival in France, and accompanied the theatrical release of Pixar's The Good Dinosaur on November 25, 2015. Inspired by Patel's own childhood when he felt conflicted by the modern world and the Hindu traditions of his family, Sanjay's Super Team follows the daydream of a young Indian boy, bored with his father's religious meditation, who imagines Hindu gods as superheroes.